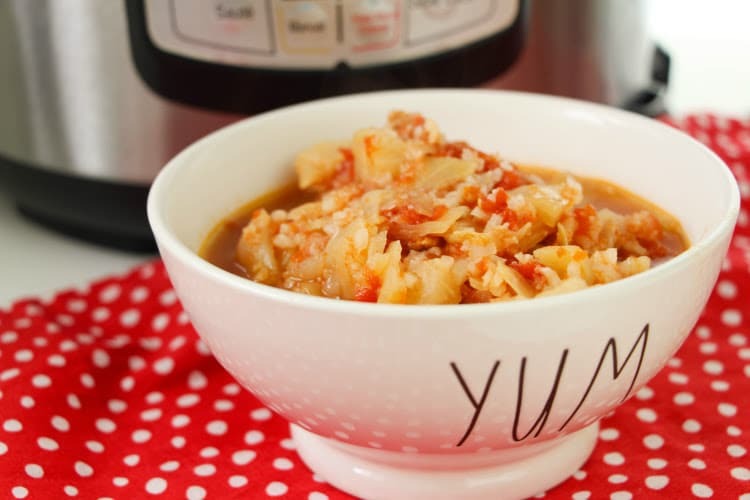 Instant Pot Cabbage Roll Soup is going to give you flavors of a traditional cabbage roll without all the prep work. 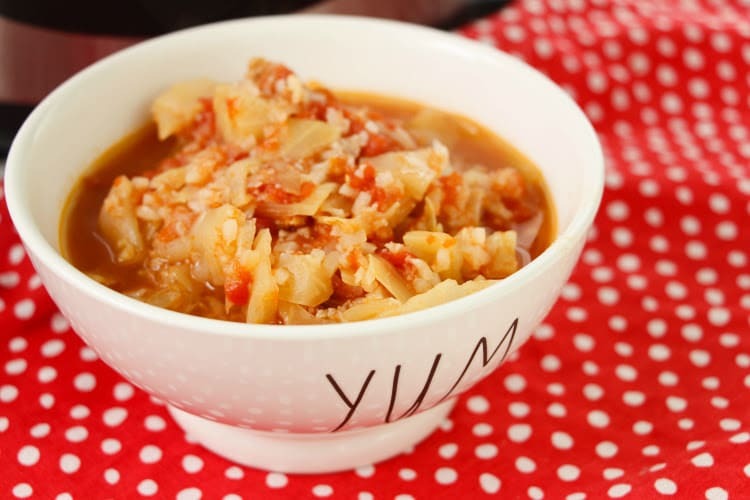 Just dice, toss and cook up this hearty and savory cabbage roll soup. My Instant Pot has been my best friend in the kitchen when it comes to soup. 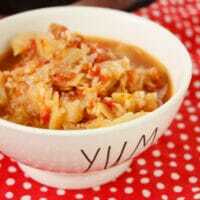 Pressure cooking this cabbage roll soup, you really are allowed to infuse the flavors quickly! Leaving you with one savory and mouth watering soup for the family. You guys when I say this is no fuss I mean it. The longest part is prepping veggies. If you wanted to shave off time you could buy pre-cut! Once you ladle up this soup you will be so thankful you tried it. I love cabbage rolls but hate how time consuming it is. Now, I have a soup that gives me all the flavors I enjoy. You are welcome to use sausage, ground chicken or even ground turkey. It is all about personal preference of flavor. But all of these ground meats can easily be swapped. Bone broth is a wonderful way to add so much more nutrition into your meals. You can easily use a bone broth for added nutrients. Use beef bone broth for hamburger or sausage, then reach for chicken broth for ground turkey or chicken. Grab a freezer friendly container or bag and transfer cooled soup into the container. Make sure you leave room as the soup will expand slightly as it freezes. You can freeze the soup for up to 3 months. If frozen allow to thaw overnight in the fridge. Or place in a bag or container in warm water in the sink. This will make it easier for soup to come out of container if you want to reheat it right away. Once your soup is thawed or you can get it out of container frozen place in a pot on the stove. Turn to low and reheat your soup till warmed through. Store your soup in fridge for up to three days. Anything after that will need to be tossed. If you know you won’t eat it in time make sure to freeze leftovers day one. That way you can enjoy the soup later. I am a huge lover of cabbage and this soup is a winner. A lower carb soup that will fill you up without hurting your waistline. Give this soups a try today and see if you love it as much as we do! Turn Instant Pot on to SAUTE and add olive oil. Add the onion and garlic, and cook 2-3 minutes. Add ground beef, brown the meat. Carefully pour off any excess grease. Add remaining ingredients. Stir ingredients to combine. Press Pressure (it should automatically set to HIGH pressure). Set time to 15 minutes. Hit START. When finished do a quick release. Open the pot and stir everything together. Season with salt and pepper, to taste.